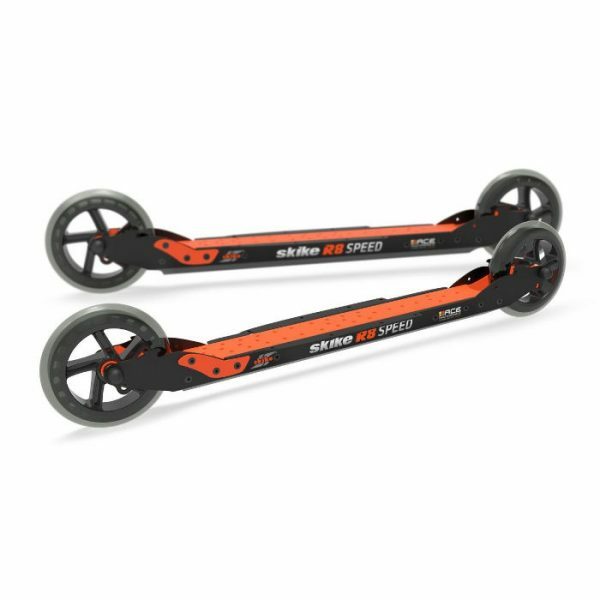 The Skike rollerski R8 COMBI pursues a new way of rolling: Differently combined tire types and sizes on the front and rear wheels optimize balance, ride and roll performance. 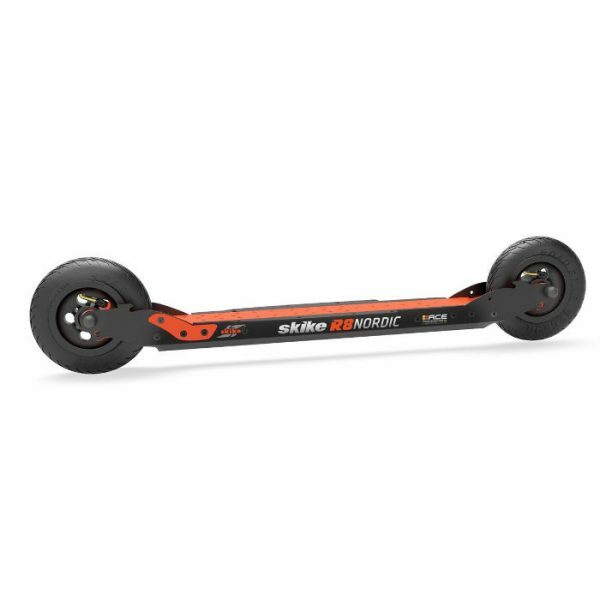 The front mounted 150 mm pneumatic wheels provide an optimum balance during riding. In the rear the Combi is fitted with 125mm PU wheels. 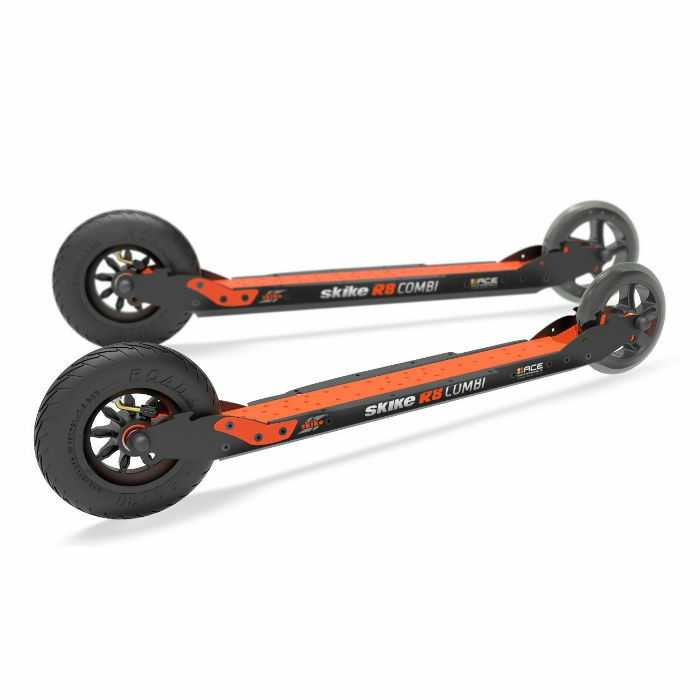 By adjusting the pressure of the front wheels, the push-off action is optimized. If retrofitted with the optional Skike cross reverse locks, the classic rollerski style can be imitated very well & comes very close to ‘real’ skiing. The R8 Combi can also be fitted with any desired wheel combination. 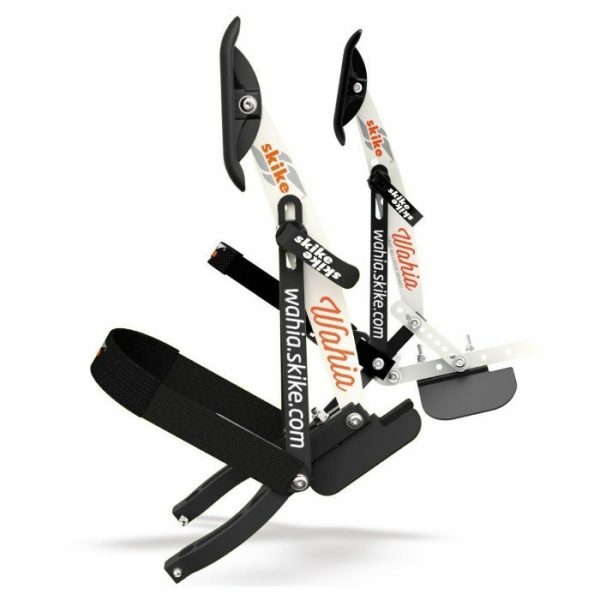 In combination with the Skike Wahia brake, which is used independently at the shoe, this device is a role model in terms of safety.